This book explains cooperative and confrontational regional orders in the post-Cold War era. 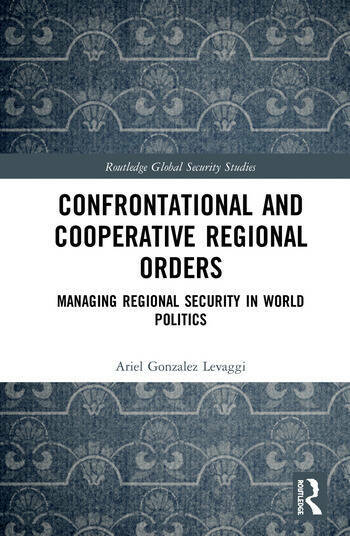 Applying a push-and-pull framework to the evolution of regional orders, the book’s theoretical section compares regional dynamics and studies the transformation and authority of governing arrangements among key regional actors who manage security and institutional cooperation. This presents a novel approach to comparing non-Western regional orders, and helps forge a better integration between IR disciplinary approaches and area studies. The empirical section analyses Central Eurasia and South America within the period 1989-2017, using case studies and interviews with decision-makers, practitioners and experts. The volume demonstrates that soft engagement strategies from extra-regional great powers and internationalist domestic coalitions framed in a stable democratic polity are forces for peaceful interaction, while hard engagement strategies from great external powers plus nationalist coalitions within democratic backsliding in key regional powers present negative outlooks for regional cooperation. This book will be of much interest to students of regional security, comparative politics, area studies and International Relations. Ariel Gonzalez Levaggi is Executive Secretary of the Center for International Affairs at the Pontifical Catholic University of Argentina. He is also Senior Researcher at the Center for Research and Strategic Studies of the Argentine Navy.